Are you an art person? 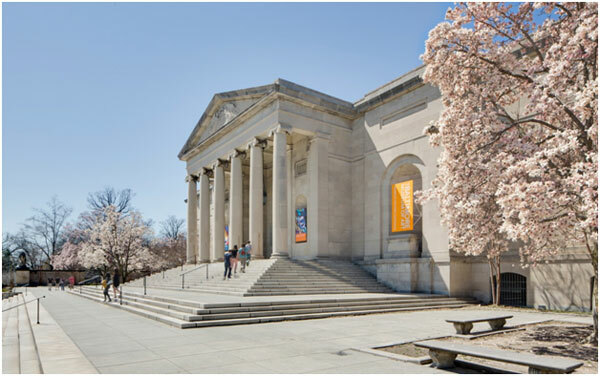 If so, you should head to Maryland’s largest art museum, Baltimore Museum of Art. The facility holds over 90,000 art pieces, comprised of various cultures and styles. Famous artists include Matisse, Picasso, and many more. Andy Warhol, one of the prominent leading figures of pop art, also has one of his largest collections at Baltimore Museum of Art. Inside his collections, one can find many styles of European, African, and Asian art. If you head to the museum’s Contemporary Wing, you can find Warhol’s “Last Supper”. The sculpture garden at the museum hosts live jazz music concerts during the summer. If you don’t have much time to explore the museum, the Contemporary Wing and the sculpture garden are the must-visit highlights. There isn’t a cost to enter the museum, but certain displays and exhibitions can require an entrance fee. The BMA is open from Wednesday to Friday from 10 am to 5 pm. On Saturdays and Sundays, they open at 11 am and close at 6 pm. The museum is closed on Mondays, Tuesdays, and some major holidays. Do you enjoy the great outdoors? If you do, you should head over to Baltimore’s Patterson Park. From dog parks to a swimming pool to sporting areas, Patterson Park has it all. Overlooking the park is the Pagoda on Hampstead Hill, which also offers beautiful views of the city. Also known as the Observatory, the jewel of the park offers scenery like no other place in Baltimore. During certain months, outdoor concerts are held at Patterson Park, mostly during the summer time. If you’re more of a naturalist, you can participate in bird watching and gardening with the Friends of Patterson Park group. 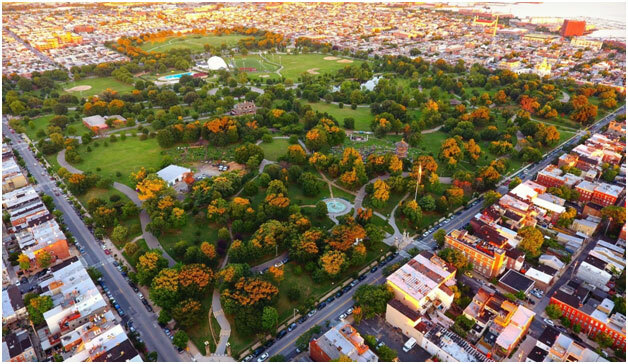 Patterson Park extends about 137 acres within the city. Parking is offered around the park and doesn’t cost a penny. Access to the park itself is free, and its open from sunrise till sunset. The Pagoda is open from noon to 6 pm on Sundays from the middle of April to the middle of October. “Oh, say can you see…” While many know the words to Francis Scott Key’s patriotic tune, most have no idea the battle at Fort McHenry inspired him to write the song. It was the War of 1812, when battle was thick between the British and the Americans. 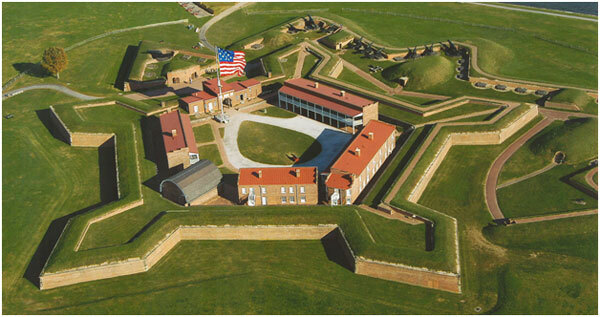 The British sent their navy to destroy Fort McHenry, mainly due to its important placement. Francis Scott Key, a lawyer pleading the release of an American civilian, was on a British troopship when the bombing began. While the British didn’t want to hurt him, they thought it would be best for him if he was kept on the ship while the battle was going on. Hours of bombing ensued. When dawn came, Key would look out of a window in the ship and still see the American flag flying high and proud. The British had failed to destroy the fort and the morale of the troops inside. The Battle of Fort McHenry would give him the inspiration to write our national anthem. At the Fort McHenry National Monument, you can learn about this incident and the importance of the fort. Entrance to the general park is free, but there is a charge of $7 for 16+ to enter the fort. 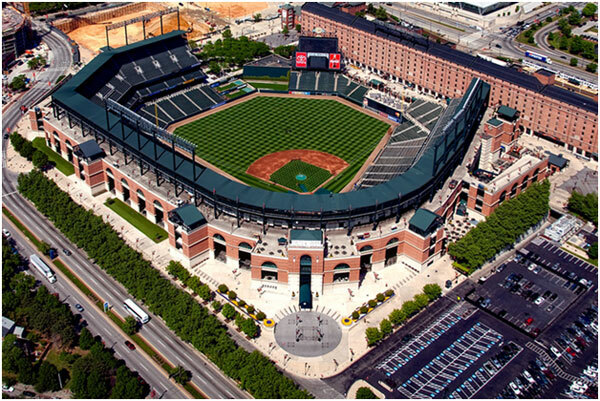 The Baltimore Oriole’s stadium, Oriole Park, is one of the most famous in the MLB. Built in the 1990s, the park features a retro vibe with a full baseball game experience. Inside the stadium, you can find the field, several restaurants, ballpark food stands, amenities, and more. For those who want to learn more about the stadium, 90-minute tours are offered year-round. Historical figures await you on the tours, like Babe Ruth’s statue out front. Tours cost $9 for adults, $6 for seniors, and free for kids aged 3 and younger. They’re available from Monday to Saturday between 10 am to 1 pm and Sundays between noon and 3 pm during the regular season (April through September). During the offseason, tours are given Monday to Saturday from 10 am to noon, and on Sundays between noon and 2 pm. We recommend you coming for both the tour and a game. Game tickets start at $9, with prices depending on the game, seats, and special events. 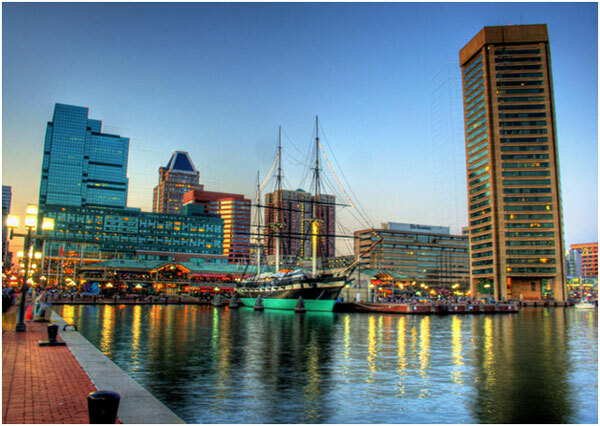 When you visit Inner Harbor, you don’t just visit the Harbor but a multitude of Baltimore’s popular attractions. A few include the National Aquarium, the Maryland Science Center, and many more. Inner Harbor now serves as a popular tourist spot, but it has been one of the most important seaports since the 1800s. Walking through the streets offers an experience like no other, from live music and performances to some of Baltimore’s finest restaurants. Inner Harbor isn’t just for grownups; Port Discovery is a perfect spot for the young ones. The hands-on museum features kid-intriguing exhibits, as well as a three-story treehouse/playhouse called KidWorks. There isn’t a price to look around, but each attraction has its own price (if they have one) and operating hours. The best way to tour the city of Baltimore (as well as many other cities) is by chartered buses and vans. Explore at your own pace within the safety of your private vehicle. Don’t worry about ordering an Uber or Lyft when you have your own exploration vehicle. Through Prompt Charters, you can order the buses you need. Prompt Charters is an amazing, affordable chartered vehicle company that caters to your every need. Whether you need a bus for school trips, marriages, parties, campaigns, or whatever else, Prompt Charters can help you. Prompt Charters offers buses, mini buses, school buses, party buses, and more. Most activities and destinations listed above and below are accessible by chartered buses. Please Visit promptcharters.com or call us at 1-877-277-6678 to book your rental bus today! 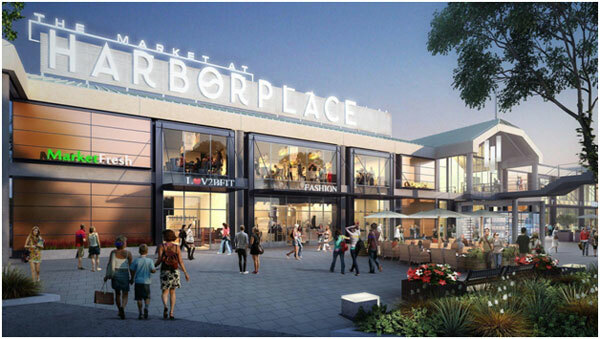 Harborplace & The Gallery–If you’re looking for a vast place to shop, look no further. Harborplace is located amidst a popular tourist spot, Inner Harbor. Inner Harbor is the center of many of Baltimore’s popular attractions and finest shops and dining. White Marsh Mall – Featuring over 140 specialty shops, a separate outdoor shopping area, a kid’s play area, and more, the White Marsh Mall is definitely a solid place to shop in Baltimore. Towson Town Center – Opened in 1959, Towson Town Center is known for its upscale retailers and shops. Even though it might be old, the mall is modern and keeps up with the latest fashion. You can see this at the designer and high-end stores there. Charleston Restaurant – Don’t worry, this restaurant is definitely in Baltimore and not in Charleston. The American restaurant is among the most popular dining options in the city, rated the #1 fine dining restaurant in Baltimore by tripadvisor for 2019. Thames Street Oyster House – If you don’t mind seafood, you must visit this famous local joint. Thames Street Oyster House is an American, seafood restaurant in Baltimore. At this time, its rated the #1 local cuisine restaurant in the city by tripadvisor for 2019. We Hope You Enjoy Baltimore!